I like to buy certain items in bulk (primarily mustard, pizza sauce, and salsa) and then re-can them. This allows me to take advantage of the lower per-unit cost without letting the food going to waste because the containers are so big. Last week it was time to re-can more mustard. I started with three large jugs. First thing to do is heat it up in order to hot-pack it. I use two big pots nested together and make a double-boiler out of them. I do this because the first time I heated up a lot of mustard to re-can, it burned a bit on the bottom and gave the whole batch a slightly burned taste. 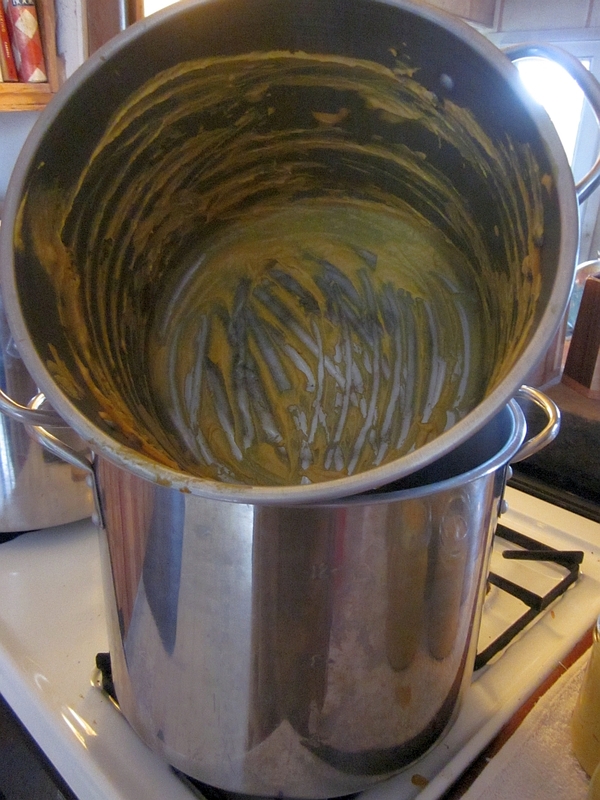 A double-boiler arrangement eliminates that problem. Once it's hot, I ladle it into jars. 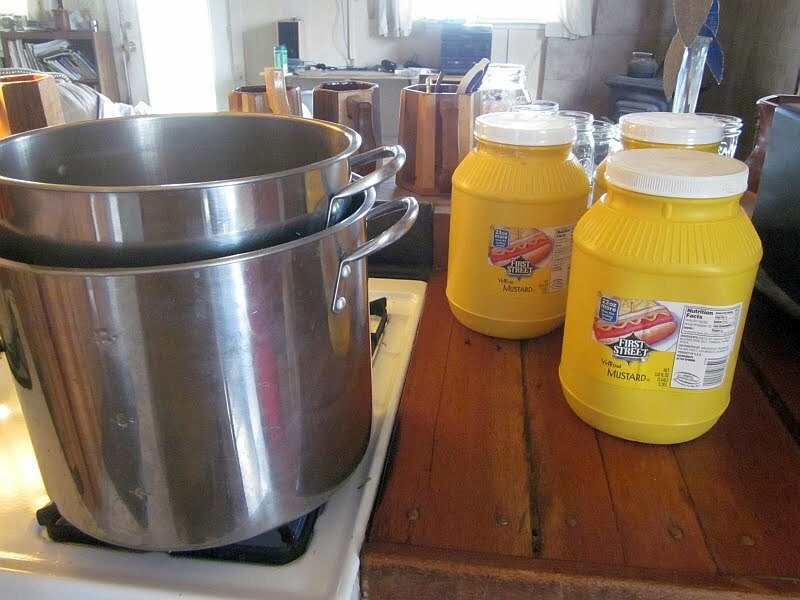 ...I was able to fill nineteen pints jars from those three large jugs. Because mustard is acidic and has no other low-acid ingredients, it can be canned in a water bath. 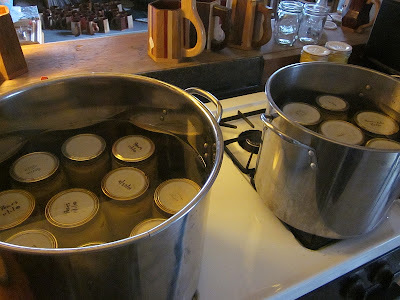 Here I was able to fit 17 out of the 19 jars into two pots. At a rolling boil, pints are processed for 20 minutes. Here are the two jars left over, being processed. Notice how I don't bother removing the tape (identifying the former contents) from the lids I re-used from other canning projects. I'll do that later. Finished. Now I'll let the jars cool before removing the rings, checking the seal, labeling, and storing. Great idea. How long can you store the mustard once you re-can it? I do the same thing when it comes to certain condiments/foods. Buy in bulk, save money and can the goods for future use. (ha!) mayonnaise the same way? Love your blog - keep up the good work. Ahhh, what a great idea! I have 3 larger things of mustard I bought a yr ago, and still have not gotten to.... I am thankful to know I can can them into smaller jars, and keep for much longer!! Thanks! We go through a LOT of yellow mustard. This is a good idea. 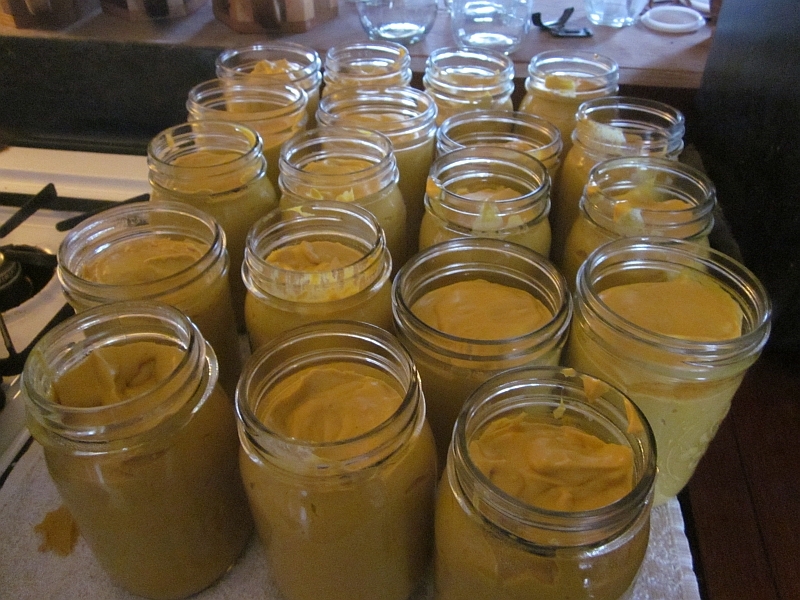 Okay, probably not "safe" according to the canning gurus, but I buy mustard in bulk also. However, I just open the large jar and refill my squirt mustard container, and put the opened bulk mustard container back on the shelf in the pantry. Because of the high level of vinegar (a preserving agent), the mustard doesn't go bad, smell or mold. Been doing this for YEARS in Texas where my house is not always cool and comfy. I do not do this with ketchup (because of the sugar level), I just freeze any extra ketchup and thaw and refill my squirt container as needed. Just another option that works for me. 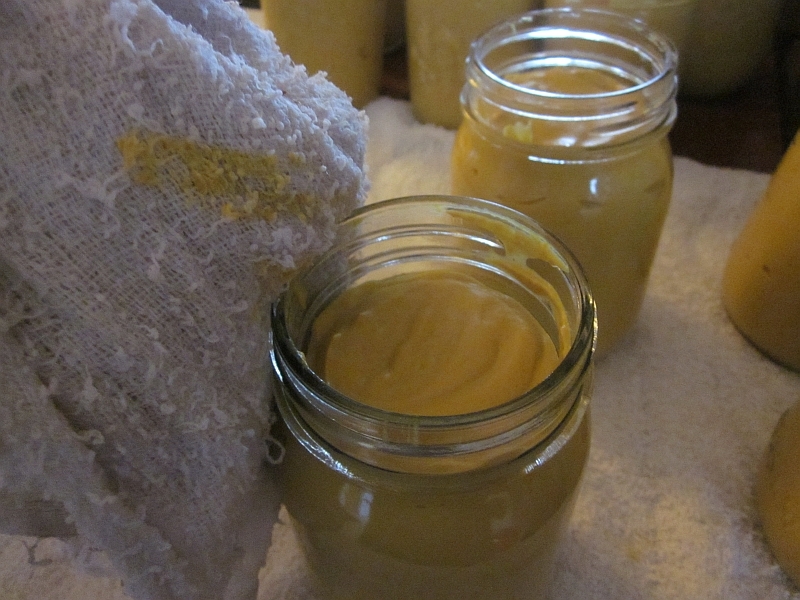 What is the cost of mustard in the big jars vs. cost in pints from the store? Does the savings justify the time and effort? I have not canned mine. I just put a large container's worth of mustard into how ever many pint jars. Put on lids and put them on the shelf in the pantry. I do not seem to have any problem with them and that way, the large, square containers can be put in the store room and only one open one, in pints, is in the pantry. 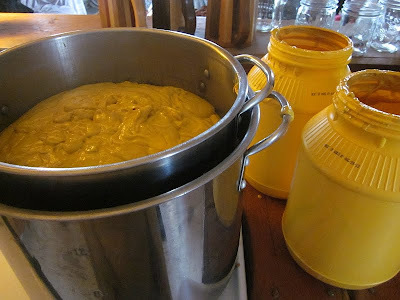 I had thought about canning the mustard after reading your blog the last time you did mustard, but I decided it was best to only open one large container at a time. 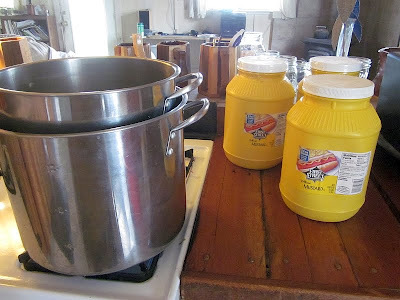 It seems that if the mustard in the pump containers can sit in the hot sun and heat at the fair, etc., and we don't get sick, then 6 months or less in my much cooler pantry should be fine. Then again, maybe the intense heat at the fair kills any bacteria.....just my thoughts. Thanks for the ideas and testing things for us (like the mayo and Enola's butter). It is good to find out what works and what does not work without many people having to do the same things. When they work, great, but when they fail, that would be alot of wasted time and food, so again, thank you. Same thing, here. I buy the large containers at Costco and then put back on the shelf in my cool pantry. If you have a cool root cellar, that works, too. The BBQ sauce I buy also says no need for refrigeration. And the seeds, being dry, don't need to be canned. 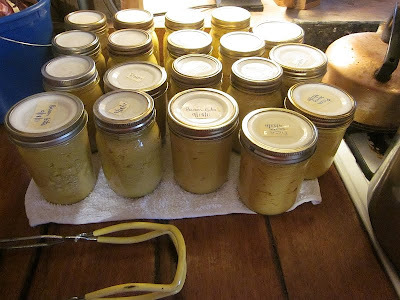 My mother in law has made her own mustards and then canned those up. They are wonderful. LOL! You know I can't look at a jar of mustard without thinking of you and your family. It was sort of my first introduction to you and your wonderful blog. I just can't imangine consuming that much mustard in a year. 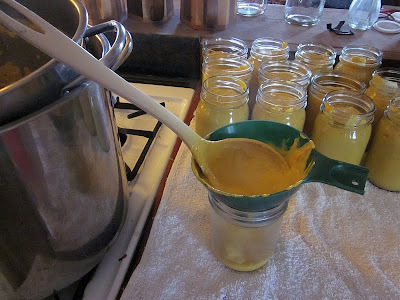 We go thru maybe two standard size jars of yellow mustard and various odd jars of other kinds. I usually have to throw them out when I clean out my fridge of UMS(unidentified moldy stuff). Yes. Because of the vinegar, it can be water-bath canned, ten minutes at a ROLLING BOIL for pints or half-pints. Be sure to heat the ketchup in a double boiler arrangement first. In a year. Is that correct? Thanks in advance. A year? Heavens no. I've had home-canned tomatoes many years old and they're just fine. They must be PROPERLY canned, of course, but I'm still working on some jars of five-year-old tomatoes and they're great. 2 months! 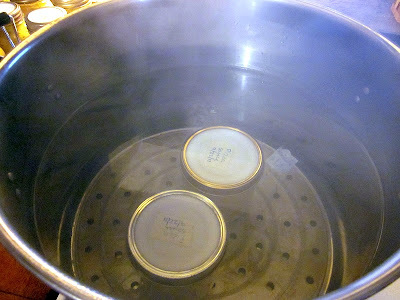 Thank you, we canned them in waterbath and they sealed Wonderfully! Does this apply to all canned goods? Pretty much. I've eaten ten year old canned items and they're just fine. Properly-canned food will last many years, although very old canned food probably has less nutritional value. Thanks so much, you are my go to gal when I want the truth! what in the world do you do with all the canned mustard? I'm lucky if I use maybe 3 standard bottles from the store in a year. thanks for all your posts patrice, they are very helpful. I don't much care for mustard myself, but my husband usually has a sandwich for lunch every day and goes through a great deal of mustard.